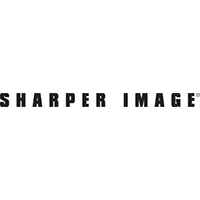 •	Customers visiting The Sharper Image website will be able to save up to 50% off of their entire order after signing up for the free email newsletter they offer. This discount will be awarded randomly, with offers of between 5% and 50% off being sent to your email inbox directly. •	Customers can use the MYSTERY COUPON that The Sharper Image offers on the homepage to improve their savings dramatically. •	Check out the NEW ARRIVALS section of The Sharper Image website to find hot deals on new merchandise. Customers can order these products at discounts up to 15% off of their original price while they are still new to the site. Sharper Image offers unique one of a kind upscale gifts. New users can register their email and receive 10% off their first order. Shoppers can use the tabs at the top of the landing page to navigate the site or they can use the search box at the right hand corner of the landing page to find their gifts. Categories like “man cave” “toys” and others are available to shop via the tabs at the top of the landing page. A catalogue is available by clicking on the catalogue tab. There is also a sales tab where all of the discounted items are listed. For most up to date offers check out Sharper Image on Facebook and Twitter or contact Sharper Image Support for any questions.